Dr Mahendra Kumar Singh has been appointed as Banaras Hindu University (BHU) chief proctor, after Prof. O.N. Singh resigned last night in the wake of recent clash in the college campus. 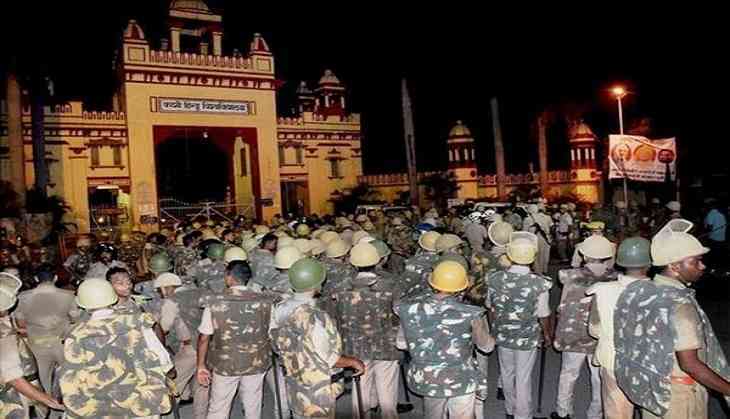 In the wake of the violent protests that erupted at the BHU on September 23, Singh took the moral responsibility of the recent incidents of molestation and violence inside the premises of the university and submitted his resignation late 26 September night. Singh submitted his resignation letter to the Vice Chancellor, Girish Chandra Tripathi. It is to be noted that O.N. Singh was considered to be one of the aides of the Vice Chancellor. A clash broke out between students and police on September 23 outside BHU campus after police lathi-charged students, who were protesting against alleged molestation of a girl. Taking congnizance of the incident, the Uttar Pradesh government ordered magisterial probe into the violence. An FIR was also lodged against 1,000 BHU students and several were asked to vacate hostels. Earlier on 26 September, the National Human Rights Commission (NHRC) issued a notice to the Chief Secretary, the Director General of Police (DG) Uttar Pradesh and the BHU Vice-Chancellor seeking a detailed report on the matter and submit his response within four weeks. The NHRC, in its statement, said, "Suo motu cognisance taken in the subsequent use of unwarranted manhandling and thrashing of agitating students, mostly women, by UP police."